But really, the combinations are only limited to your imagination. 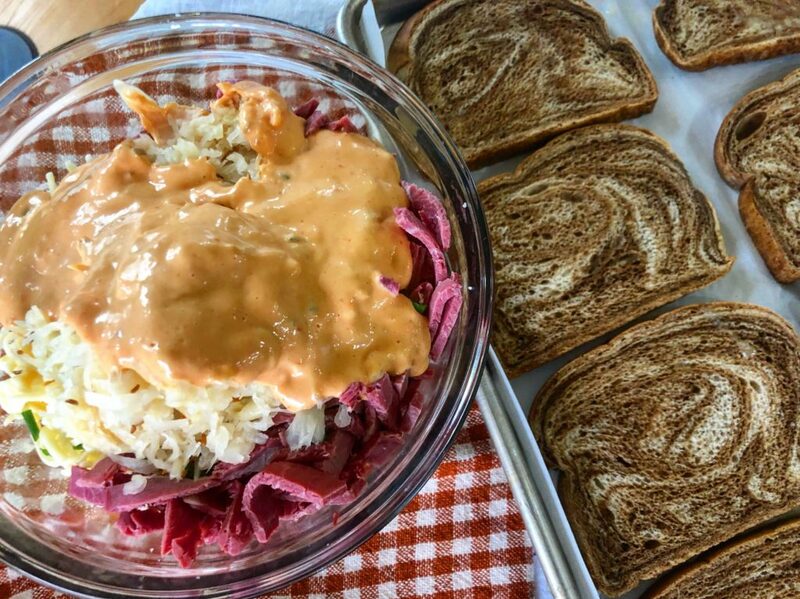 And that’s how I came up with this newest open-faced sandwich creation :: THE REUBEN. 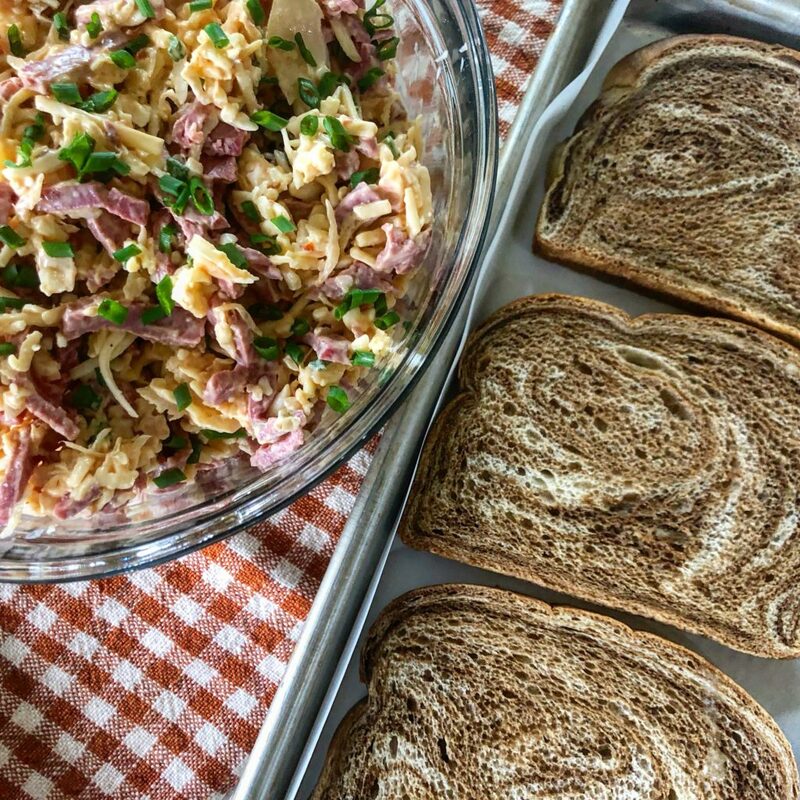 Start off with sliced marbled rye bread. Lightly butter the underside of each slice and place it, evenly spaced, on a parchment-lined rimmed baking sheet. 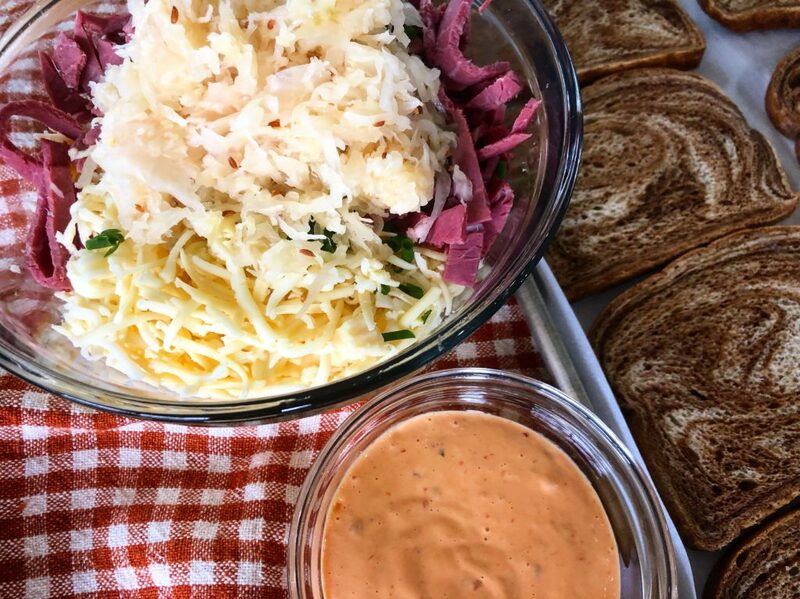 Now, I know that thousand island dressing and sauerkraut are polarizing foods. You pretty much either love them or hate them. So, if you’re in the “not a fan” club, feel free to omit them from your sandwich. 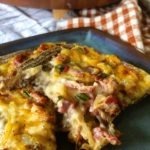 In their place, sub ranch dressing or mayo and a handful of sliced shallots. Scoop the filling and spread evenly onto the pieces of marbled rye. 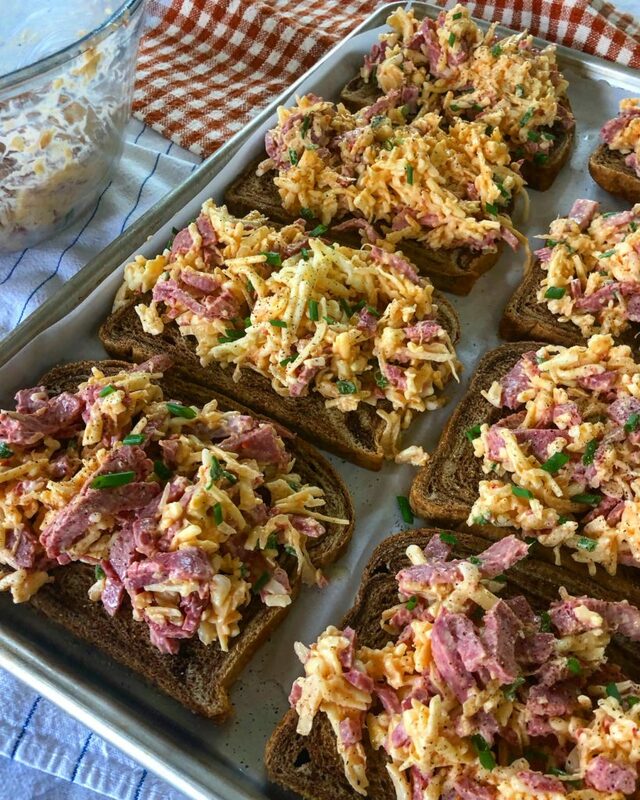 Place the baking sheet of open-faced sandwiches into a preheated 400° oven for 20 minutes or until cheese is bubbly and golden. The result?? So yummy!! 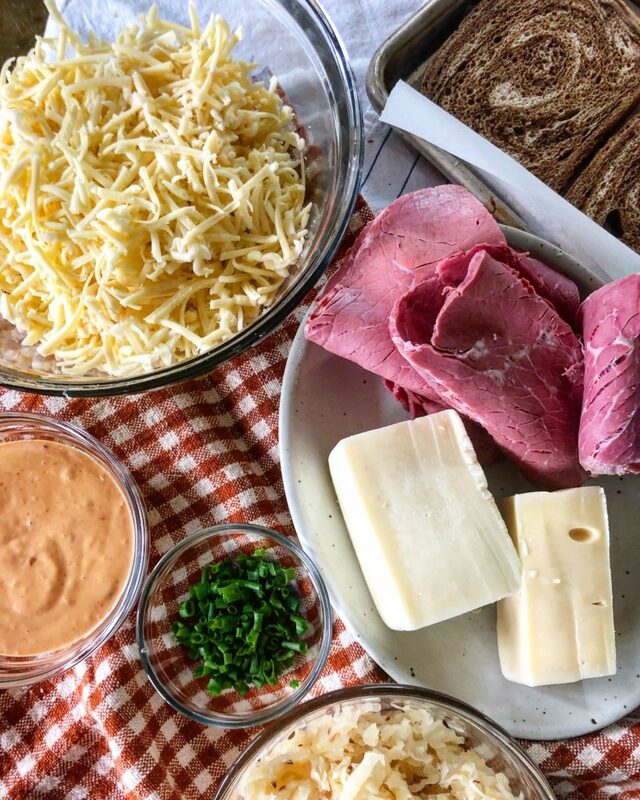 Crisp warm marbled rye bread topped with everything that makes a Reuben crave-worthy :: salty, sour sauerkraut mixed with slightly sweet thousand island dressing and that classic crispy-edged corned beef all covered in gooey melty buttery cheese. Simple perfection. 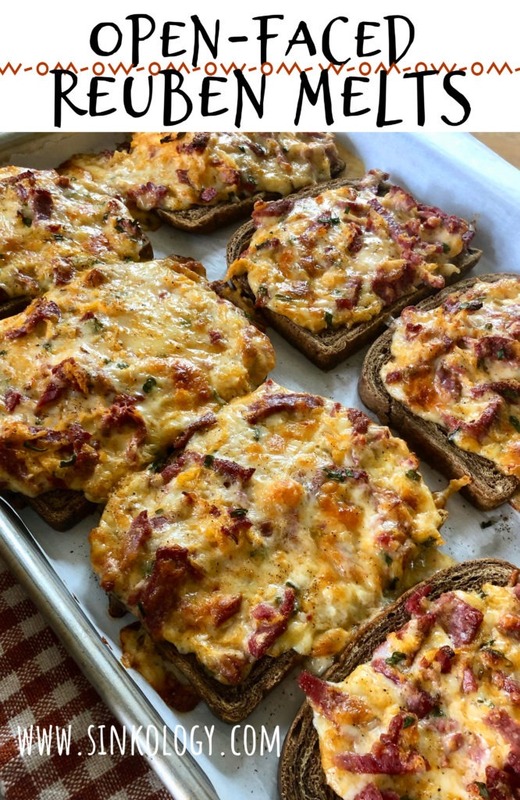 Of all the combinations of open-faced oven toasted sandwiches, I believe this one is my very most crave-able favorite! 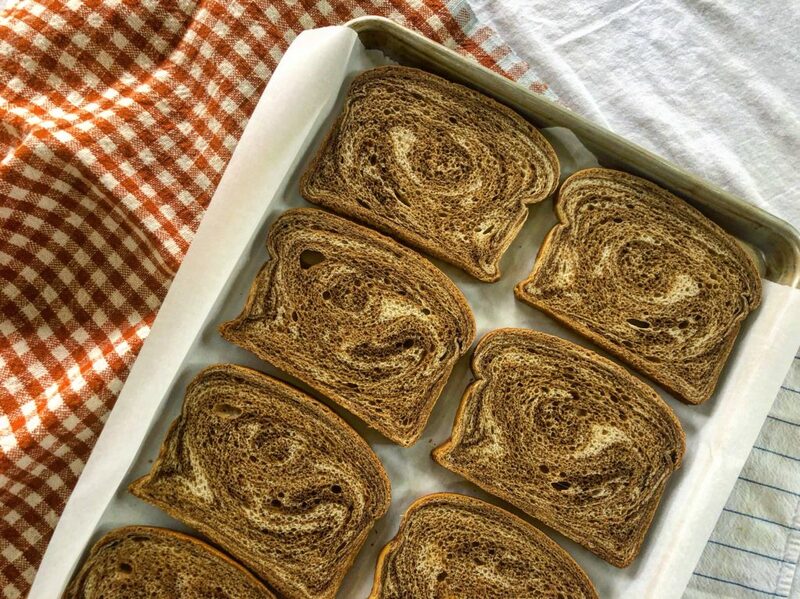 Place 8 slices of bread on lined baking sheet and butter one side. Flip buttered side over so that it is facing down. 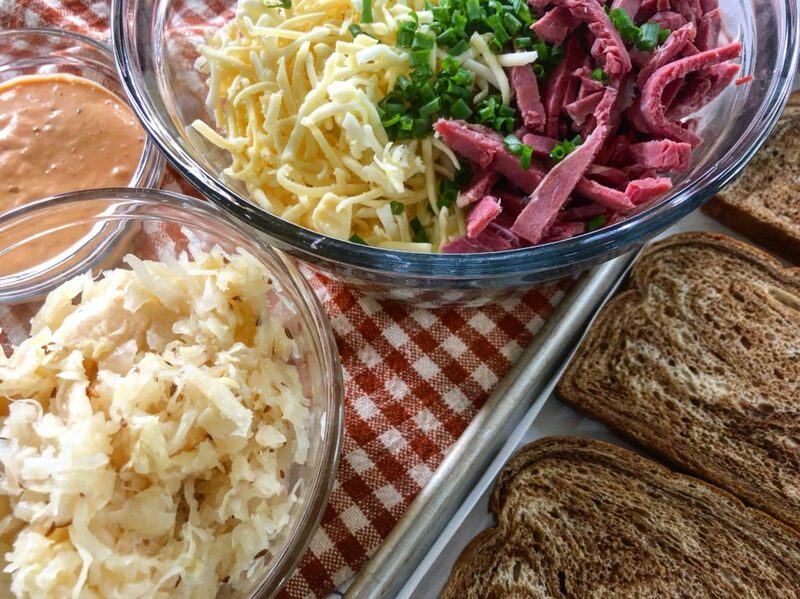 Evenly divide Ruben mixture between the 8 slices of bread. Spread the mixture so that it evenly covers each slice to the edge. 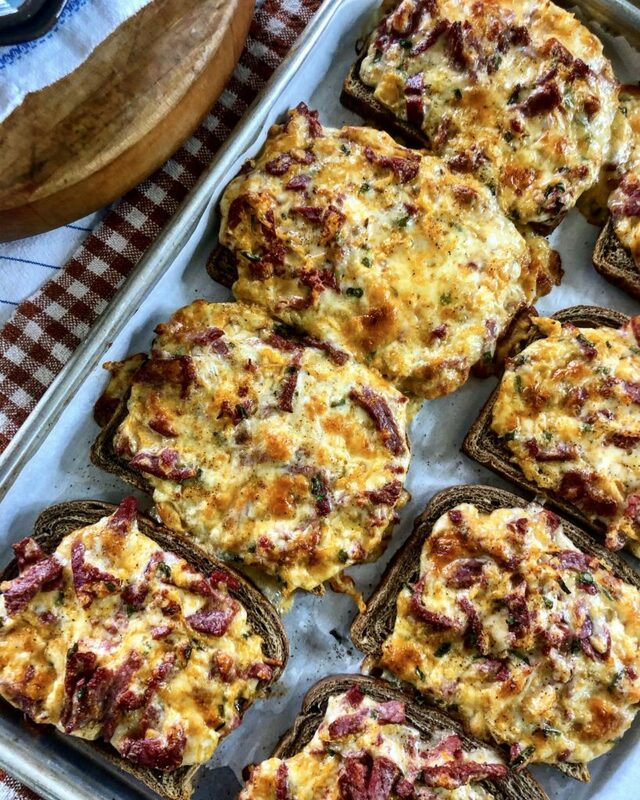 Place open-faced sandwiches in the preheated oven and bake for 20 minutes or until the cheese is melted and golden.